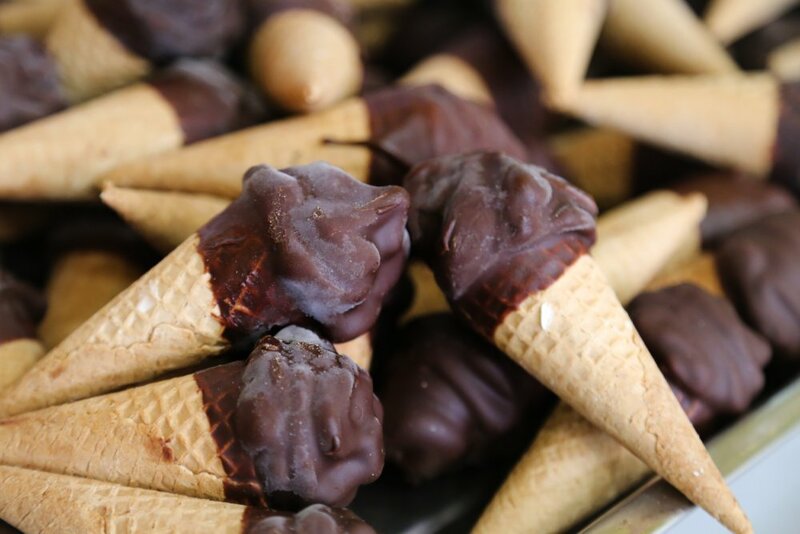 One of the main products at Crema Latte is the little ice cream cones, made with our fresh ice cream. 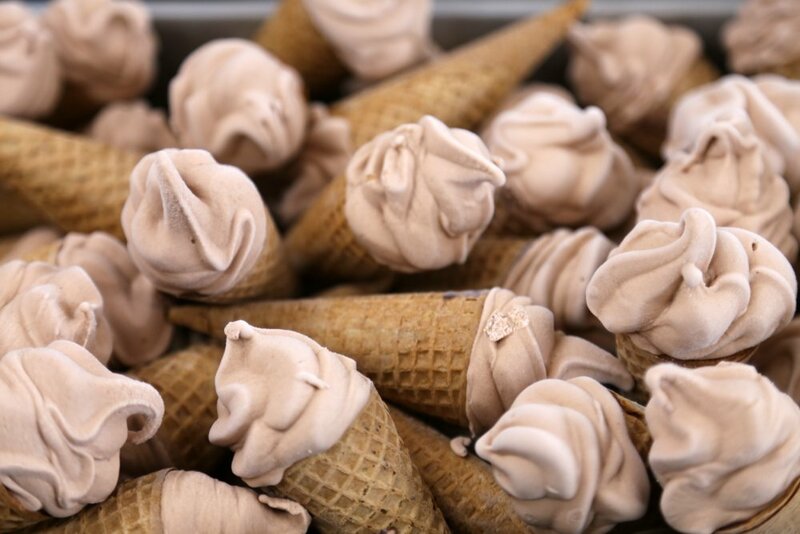 A variety of tastes fill the mini cones that please the lovers of this refreshing candy: ferrero rocher, banana, strawberry, white chocolate, milkshake cream ... all of these flavors can form the base - filling for Crema Latte's crisp cones. 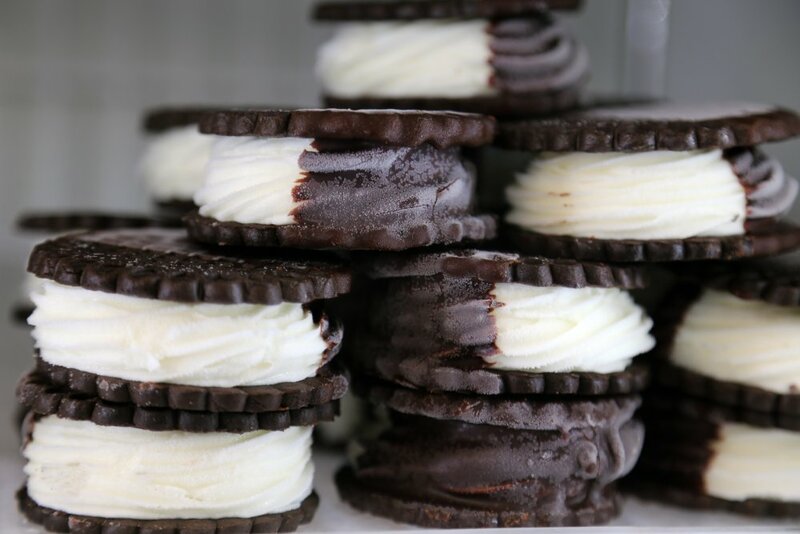 Whatever your favorite flavor, it can end up into a mini ice cream. 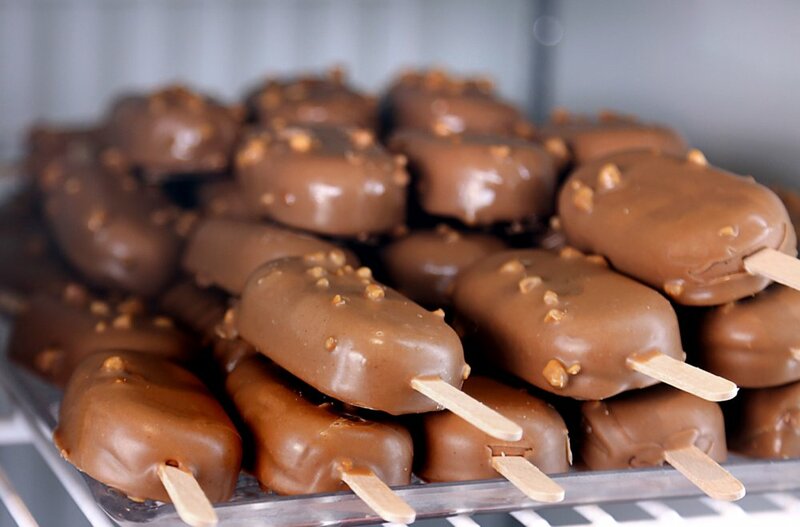 In addition to the ice cream in a cone, we also make ice cream sticks. Here, too, the flavor options are many, with strawberry, peanut, lemon, orange and the combination of orange with chocolate being some of our best known. Everything in hand, nothing industrial. This is the beginning of our philosophy. Whatever we can do in our own workshop, we do it! 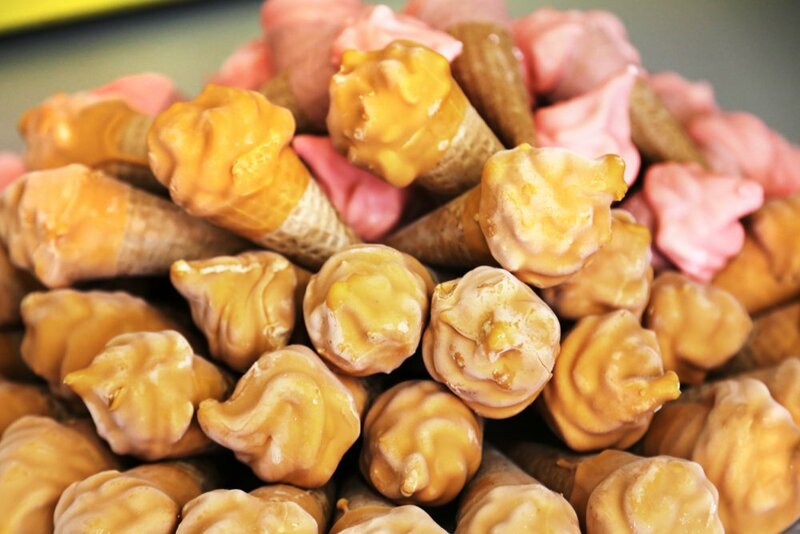 Our ice cream sticks are stuffed one by one in hand and dipped in various coatings. 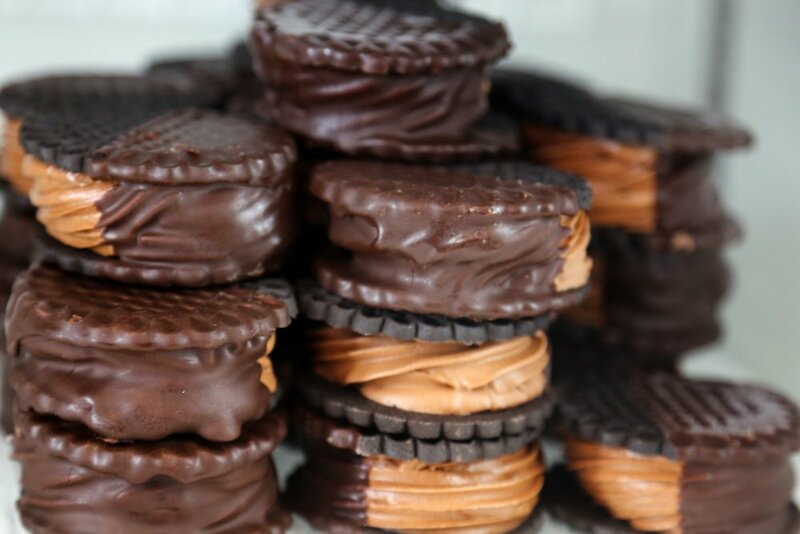 The thing for us is to harmoniously combine the filling with the outer coating and that is why we carefully choose these combinations. For example, for the success of ferrero rocher, we choose to put on schnitzel and caramelized hazelnut, so that the final result is an extraordinary ice cream flavor.